Grand View Burial Park was developed by the Industrial Development Corporation in 1934 as a memorial cemetery. It was intended that flat bronze markers on suitable bases would be the type of memorial used throughout the burial park. To get the park started, the corporation used the barter system in to get the land cleared, built its roads and other development needs. For instance, trucking companies supplied the equipment and road building materials to make the park accessible and in turn were given burial plots for their efforts. The first burial was on May 11, 1934 and two more were made that month. During 1934 there were 22 burials. During the next five years that number tripled. With the need for space, more sections were added. Features were added to several sections. In Section C a large Bible was erected, in Section H The Good Shepherd memorial was added and in Section A the Lutheran Bible was installed. In 1965, the Industrial Development Corporation sold Grand View to Hillard B. Crowell. Soon after that, the business offices were moved from North 4th street to a new building on the grounds of the burial park. Many improvements have been made from that time until now. During an average year, two hundred twenty five burials are performed. In 1981, Grand View Burial Park saw the addition of Grand View Funeral Home, a new and modern facility with the largest funeral chapel in the area, with parking to handle the largest of funerals. 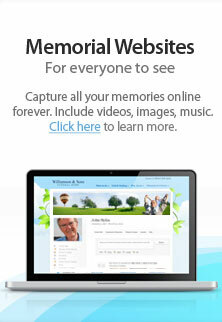 This gave Grand View the ability to handle all your funeral needs in one location. Burial spaces, memorial markers, burial vaults, memorial benches, and complete funeral services all are available at one location. In the fall of 1988, Hillard B. Crowell retired from Grand View. The burial park and funeral home were purchased by a national organization, Service Corporation International, which held ownership until the fall of 1992. The current owners are Victor Evans and Douglas Hosmer who purchased Grand View Funeral Home and Burial Park and have continued to operate the business to the present date. Both Vic and Doug are residents of Hannibal. Today Grand View Funeral Home & Burial Park does over 75 percent of all burials in the Hannibal. Through 2017 Grand View Funeral Home & Burial Park has done over 12,675 interments. Doug Hosmer president and operational manager of Grand View Funeral Home and Burial Park, was born in Jackson, MI and grew up in Wheaton, IL. and Boca Raton, FL. He attended Taylor University in Upland, Indiana. After moving to San Diego, California, he married Terri Evans and they are the parents of six children. While in San Diego, Doug worked as administrative vice president with Royale Energy, a publicly traded oil and gas firm. Doug immediately became involved in local civic clubs and activities. He is a member of the Rotary and Lions Clubs, has served on both boards and has been President of both clubs. From 1996 to 2002, he also served on the Hannibal Y.M.C.A. board, which included two terms as president. Other boards on which Doug has served include: The Douglas Community Services, The R.S.V.P. Advisory Council, The Hannibal Nutrition Center and The Care Net Organization. Doug's other community services have included: Secretary of District 3 Missouri Funeral Directors' Association, den leader and cub master in the Mark Twain Council, assistant scout master of Troop 106, and as the District Chairman of the Mark Twain District Committee of Boy Scouts. Doug is also an active member of Grandview Church and helps with their youth group, bus ministry, and men’s ministries. Because of his belief in continuing education he has attended classes offered at Hannibal LaGrange University. Doug has a strong sense of responsibility to his community and its betterment. He sponsors a Widows’ Club (Grandview Belles) through Grand View Funeral Home each month, and he and his staff deliver meals regularly for the Hannibal Nutrition Center. Doug understands the part that Grand View has played in Hannibal's colorful history. His desire is to continue that tradition through professional, caring service to the community and by providing a tranquil and beautiful environment for the families of the Hannibal area. Norma J. Anderson, is the Assistant Manager, Sales Manager, and a Funeral Director at Grand View Funeral Home & Burial Park. Originally from Wright City, Missouri, Norma relocated to Hannibal in 1998. She is the mother of two daughters and the grandmother of grandchildren. Norma accepted a sales position at Grand View in 1998. When I first came to Grand View it was just a job to me. Since then however, I have learned so much about helping people at their time of loss. I understand the need for compassion and love that is necessary in this business. I know that what people want is someone who really cares. People don't care about what I know, until they know that I care, and I must say, I'm here at Grand View because I care. “Please feel free to call if you have any questions about funeral or cemetery arrangements, or just come out and have a cup of coffee” she says.